1st Gen camaro - Rat Rods Rule / Undead Sleds - Hot Rods, Rat Rods, Beaters & Bikes... since 2007! After dreaming of owning a 1st gen Camaro for at least 30 years. 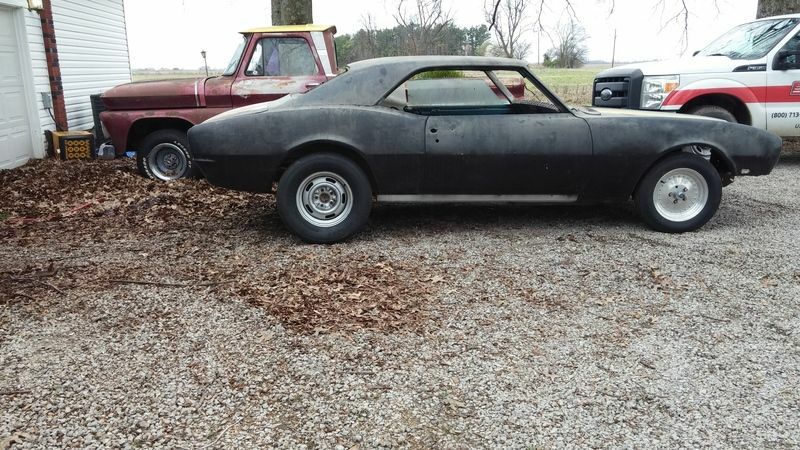 I finally got me a 68 Camaro. It needs to be restored but its a factory V8 4 speed car. It currently has a complete 94 LT1 out of a Impala SS. The guy swore it has only 20K miles on it. Its clean and under the valve covers says its low mileage. It will be a long term build and would love to make it a Big Block 4 speed car. But who knows. Should be a fun project. Keep us up to date please. I did a 2nd generation for my daughter and she (and all the boy in H.S.) loved it. Finishing up a big block swap in my 64 C10. Then swapping motors in my 65 Mustang. Then the Camaro. I did order a gallon of Butternut Yellow yesterday so I can start on the firewalls. They have already been blasted and primed.